Custom logos, websites, and marketing brand kits for those ready to take their business to the next level. 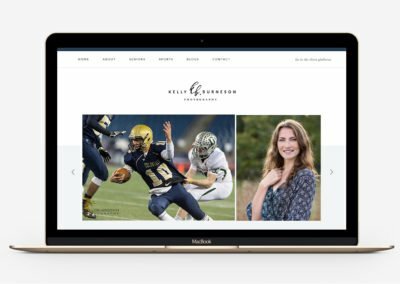 Get a completely custom brand identity & website made custom for your business. Finally, stand out from the crowd with a brand that is uniquely you down to every detail! Custom packages range from $2800-$4800. Please contact us for detailed pricing. The hardest part of launching a new site is writing the content for all the pages. To make this task easy we have a professional content writer on staff ready to assist you with all your writing needs. Not all pretty websites are successful. We ensure your website design stands out from the crowd and actually works to convert visitors into paying clients. 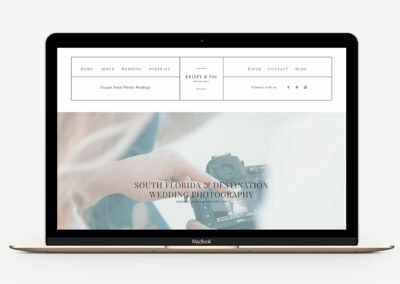 We want your site to look good and be effective! It takes more than a pretty logo and website to grow your business. If you want to take your business to the next level, you need a strategy-packed design to propel you into success. You are busy running a business, we get it. You may not have the extra time to hassle with all the tedious template customizations. No worries, we got you covered. Schedule a free consultation via phone or video chat. This is your opportunity to ask questions about the custom process & packages. Complete our simple 10-minute lesson plans to teach you the skills you will need to grow your business. We will help you build a winning strategy. We will get busy designing your custom logo, WordPress website and brand kit. Provide your feedback along the way so your brand is perfectly you! 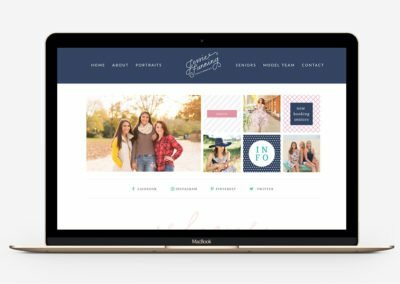 Hooray, you’re ready to launch your new website and fresh new look. We will provide you a winning launch guide to support your launch & growth. Branding doesn’t have to be stressful, together we will help you grow your business. 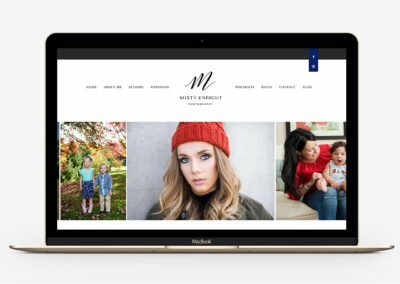 What platform will my website be on? 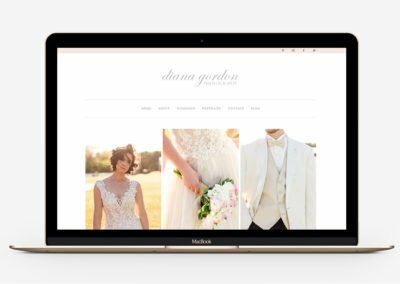 You may select between the ProPhoto or Divi theme framework on WordPress. E-commerce sites are also available. How much does a custom project cost? Packages start at $2800. We offer three different packages for custom packages. Contact us for detailed pricing and availability! Custom projects range from 2-3 months. How is this different from the "restyle"? The restyle packages begin with a template and are “restyled” or customized in minor adjustments to fit the clients’ needs. However, a custom project starts from scratch and is strategically designed to fit you and you alone! The end result will be a custom brand that is different from anyone else. What kind of logo is included? You will receive a completely custom logo strategically design based on you. You will walk away with all the logo files you need as a professional business. Yes, if you are interested in an e-commerce just let us know in your interest form. We will talk through all your options and help you select a platform that fits your business needs. Can I pay for extra pages? Certainly! The standard package includes 5 pages but we can create as many custom pages as you need at a rate of $350 per page. What do I need to have before getting started? Before we can begin your project we will need all your website content (images, text copy, ect.) We will provide you with a content guide to help you in this process. Will you help me write the website copy? Yes, we have our very own in-house writing specialist that will help you with your writing needs. We offer three different packages depending on what type of writing assistance you want. Will you teach me how to use my website? Heck yes! We will provide you with a self-guided, online course to teach you everything you need to know about your new website. What's included in the brand course? Our brand course will help you develop a winning brand strategy in an easy, step-by-step process. Included are 8 self-guided lesson plans that cover the leading marketing strategies to grow your business. Custom projects are by appointment only. Please contact us to get detailed pricing and more information. How soon do you want to start your project? Not ready for custom branding? Save some money by going the semi-custom route.